I'm glad that themes around reducing, recycling and sustainability are becoming more common stories on the blog. Initially it wasn't intentionally to talk about this. However the more I have, at home and with the kids, tried to find ways to use less as well as recycle more, it has organically become a topic of interest. I've said this before and it's still true, I'm not perfect. I can do better and hope to do better but I'm also not going to beat myself up over not being the BEST at creating less waste. I will though applaud myself for every small change I make because if we all just made one or two small changes, it would add up to major change on a global scale. 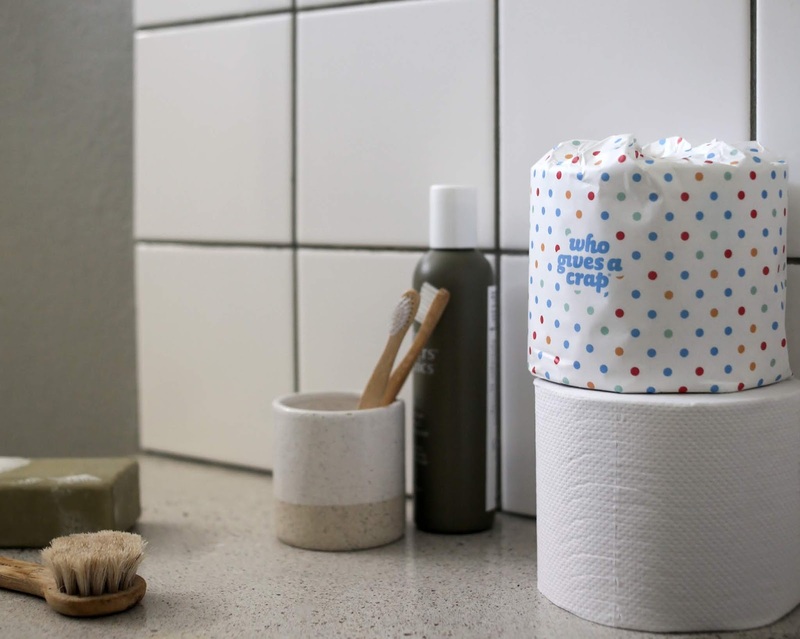 A few weeks ago I found out about a company who uses recycled paper to produce toilet paper. One of the biggest, and easily overlooked forms of waste are paper towels and toilet paper. The first is fairly easy to stop using, replace them with fabric towels. However bathroom tissue is not so easy to get rid of or find alternatives for. 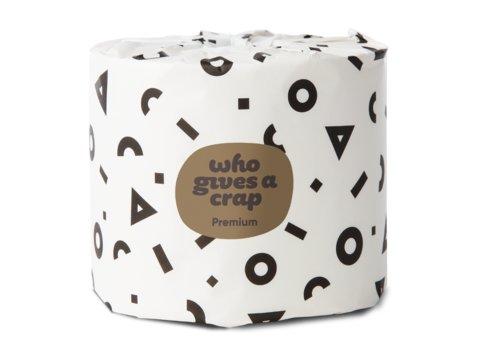 This is why Who Gives A Crap (cheeky, right?) and their practice of using recycled paper or bamboo paper from renewable resources piqued my interest! 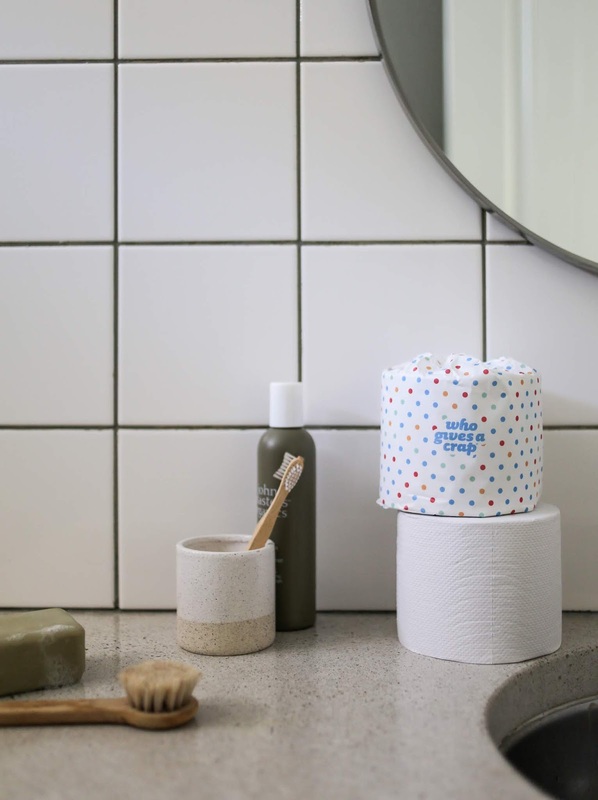 I can't think of an easier transition that still promotes sustainable practices than to switch to using tissue that's either been made from paper that already exists or from the fast growing and naturally regenerating bamboo plant. What's even more great about this company is after discovering around 2.3 billion people across the world don't have access to a toilet and around 289,000 children under five die every year from diarrheal diseases caused by poor water and sanitation decided to give half of all their profits to help build toilets and improve sanitation in the developing world! They also offer tissue and paper towels, also made from recycled materials. The packaging is fun and free of any plastics, and I like the black & white version in the bamboo set! We were able to try out a box of paper and in case you're wondering, yes, it is soft. Is it as soft as that pricey quilted stuff you can get at some stores? No, but that is an insignificant price to pay to know that you are creating less tree waste...because of your waste.